Prospect of a pretty rough beat round the back of the Island and we weren't disappointed. Good start but delayed getting the kite up until we were sure what the wind was doing but headed the fleet along with Raffles all the way to the Forts. Sheets eased to Bembridge then the slog to St Cats started. Plenty of short tacking to get up to Culver cliffs and then into Sandown Bay out of the tide. Pretty big seas at various points and went down to the third reef for a lot of the time which seemed to work well as we were up with Raffles. 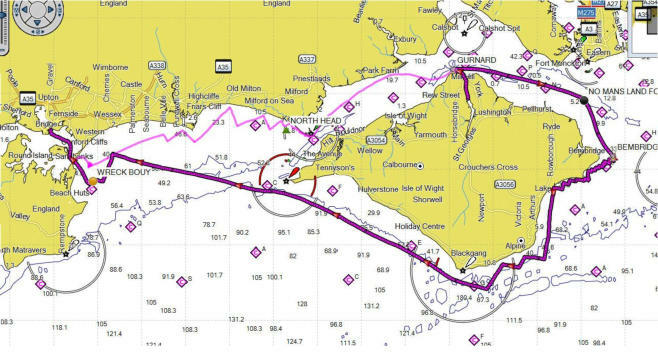 Bit easier once past St Cats with a single tack to the near the finish although some more big seas just past the Needles. 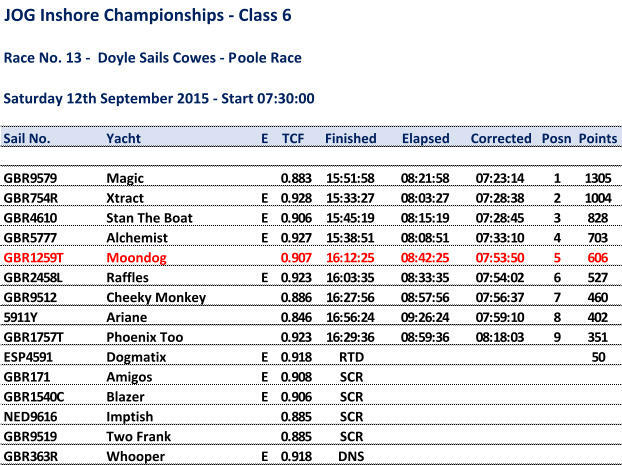 Not too bad a result considering the heavy conditions and did not break anything.